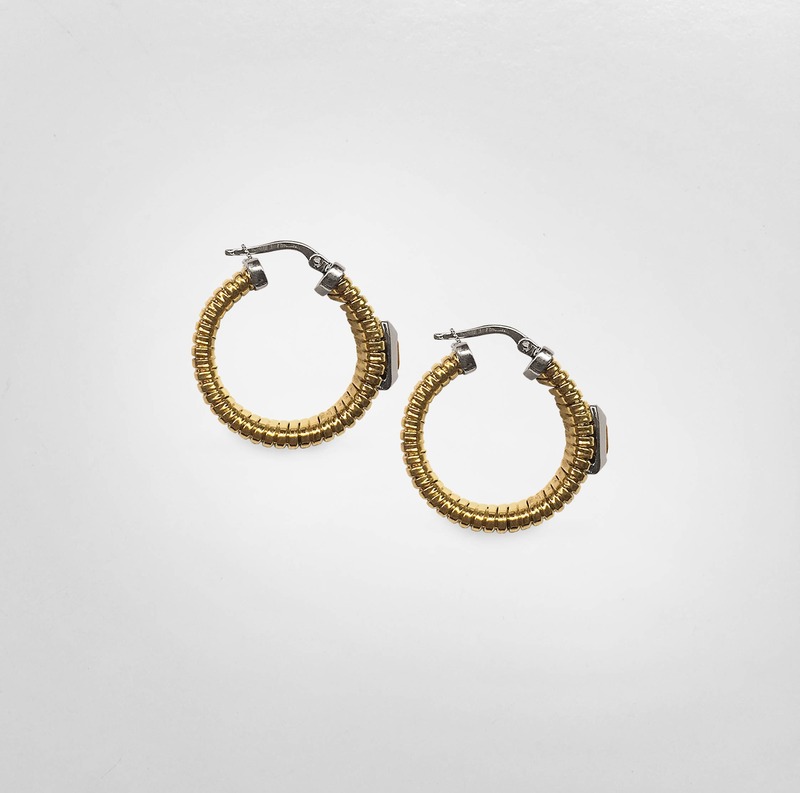 This chic pair of 14K yellow gold gooseneck hoop earrings terminate in white gold caps and posts. 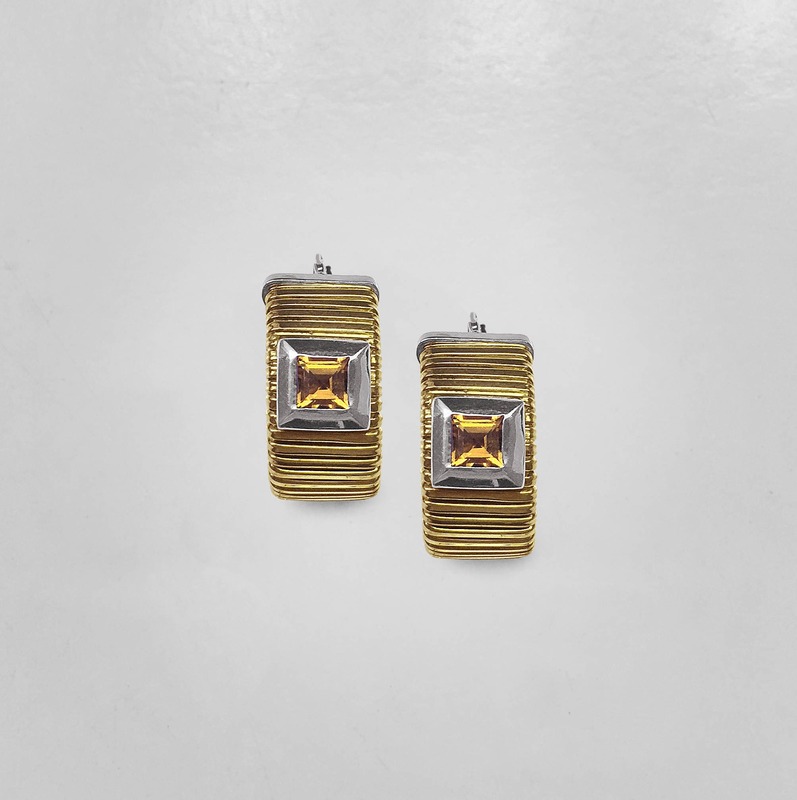 Each earring is centered with a square bezel holding a beautiful step cut golden citrine (topaz). These unique earrings are substantial in weight but still comfortable to wear. The earrings measure 11.25 millimeters wide (just under 1/2 inch) and 1 inch in diameter. The color of the citrine is so neutral that these could easily become your every day "go-to" earrings. Since topaz is the birthstone for November, these would make the perfect birthday present for your favorite November born.